I want to help you cut through the digital clutter and get your story the attention it deserves. 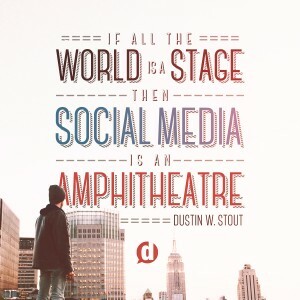 My name is Dustin W. Stout and in short I’m a husband, father of three, social media enthusiast, designer, consultant, and speaker. I’ve also done a bit of acting and modeling. I am an entrepreneur, digital marketing consultant and speaker who’s learned how to make a living from doing things I love. From home. Without ever having to put socks on if I don’t want to. 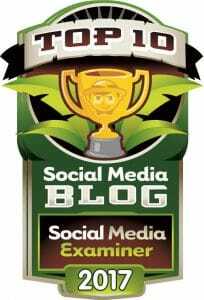 Over the years I’ve been able to work with some great brands and have even had the honor to be named (twice) by the leading online Social Media Publication, Social Media Examiner as one of their Top 10 Social Media Blogs. Your story is important and I want to help you tell it to the world through social media. In 2009 I sat in a small session at a conference with a few dozen other leaders listening to Michael Hyatt speak about building what he called a “Platform”. He talked about doing this through both blogging and social media. At the time, I had just signed up for Twitter and was extremely excited about it. I hadn’t dug much into blogging just yet, but it was there that I decided to explore it. Fast-forward to 2014 and I was leaving my full-time design job because this blog had allowed me to grow my income and client list beyond what my job could ever pay me. I became a full-time social media and digital marketing consultant on April 28, 2014. 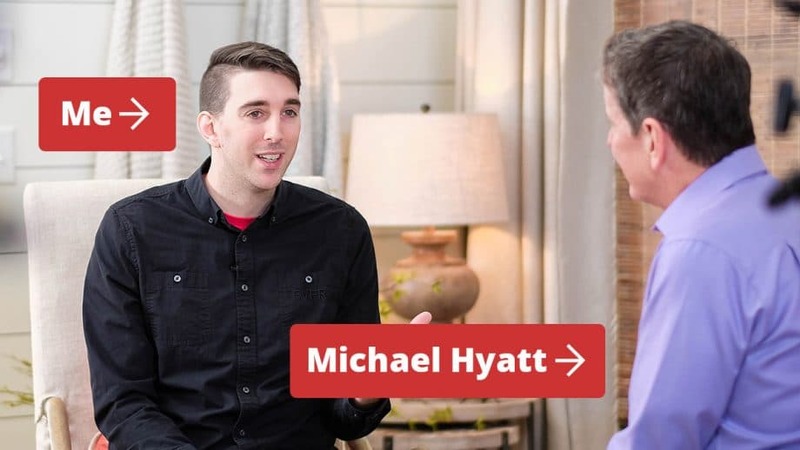 Fast-forward another 3 years, and Michael Hyatt is asking to interview me for his Platform University Social Media module, because of my expertise on the subject. I’m a self-taught guy who learned how to get my story heard. Now I help others do the same. Currently I am part owner and co-founder of Warfare Plugins, creators of the best social sharing plugin ever. 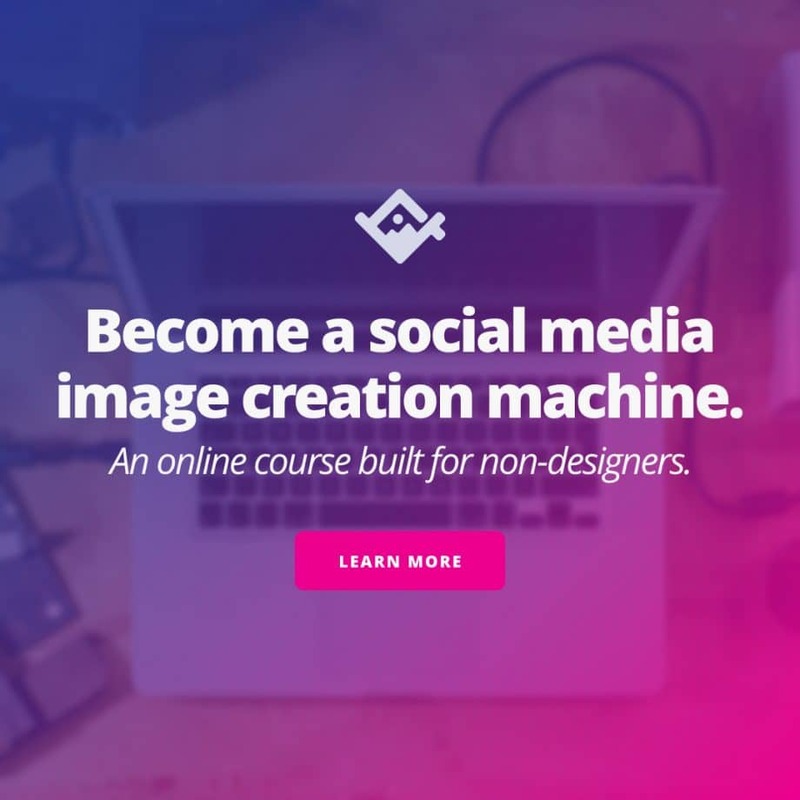 I’ve also created an online course that teaches non-designers how to create eye-catching, highly effective visual content for social media and blogs. I called it Visual Content Mastery. Learn everything you need to know to create professional-level visuals for your social media and blog content. This blog is where I share what I’ve learned as candidly and simply as possible. I don’t like fluff. I can’t stand bad communication. And I can’t settle for less than excellence. Beyond the blog I also have a list of Insiders who get access to free resources that I’ve created to help make their online efforts easier. They get access to exclusive content and a downloads page where I continually add helpful tools that make their lives easier. Become one of those Insiders by adding your email below. When I started this blog it was mostly a way for me to record what I was learning. I’ve found that I learn best when I teach things, so blogging was a great way to solidify what I was learning and share it with others. When it comes to social media I’m generally writing about how to use social media to grow your reach on platforms such as Twitter, Google+, Pinterest and through your own personal blog. You don’t need to be everywhere in order to succeed so I focus on being highly effective on fewer platforms. On Feb. 17, 1985, in small-town Sharon, Pennsylvania I came into the world. I was born to a hard-working bartender mom and a regional rock-star dad. Ever since as far as I can remember I’ve had aspirations of telling stories on the big screen. Although my mother did name me after famous actor Dustin Hoffman, she never knew that I would someday pursue acting myself. Being in every play, musical, and performing arts extra-curricular I could possibly keep up with, I did my best to prepare myself for the day I would venture out to Southern California. After graduating High School I immediately packed up and moved to Cali, enrolled at the American Academy of Dramatic Arts, Hollywood. 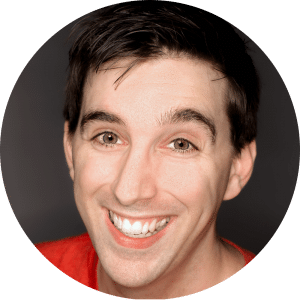 For two years I studied the various aspects of performing arts including Acting for the Stage and Camera, Improv Comedy, Vocal Production, Standard American Dialect, Advanced Dialects and Accents, Musical Theater, Dance, Shakespeare, and more. After graduating I quickly realized that I couldn’t just wait tables while I waited for my “big break”, I had to work at something that gave me an outlet for my passion for storytelling. After taking a position as a Youth Director and Graphic/Web Designer for my church, I began refining my ability to speak on a weekly basis in front of the toughest audience anyone could ever face– teenagers. For four years I taught between 1-2 times a week refining my ability to captivate even the most attention-deficit of audiences. Once my blog took off and I had a steady stream of consulting (design, branding and social media) clients, I was able to begin working for myself as a digital marketing consultant. In 2014 I co-founded Warfare Plugins. We launched with a social sharing plugin called Social Warfare which aims to solve the greatest problems in getting content shared beautifully and effectively. Just a few years later, Warfare Plugins is thriving. My wife and I have been married for 7 years and in that time have managed to produce two boys and one baby girl. We live in beautiful Southern California. In our free time, we enjoy being outdoors, playing on jungle gyms and learning how to be more like Jesus every day. You can reach me via email or on my favorite social platforms Twitter or Instagram. You can also use my Contact page if you like, and see the fun Thank You message I’ve put in place once you fill it out. When I was growing my blog from scratch I relied heavily on those who came before me to point me towards the best tools. In turn, I wanted to do that for my readers. So I’ve created a Toolbox (also known as a Colophon) that lists out everything I use to build and grow my online empire.